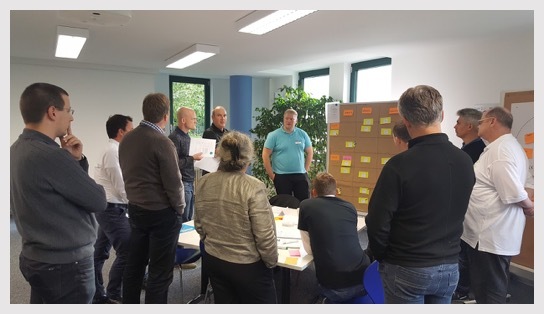 An intermediate-level assessment, Scaled Professional ScrumTM (SPS) is available to anyone who wishes to validate his or her depth of knowledge of the scaling Scrum and the Nexus Framework. Those that pass this assessment will receive the industry recognized SPS certification that demonstrates their mastery of the content. Taking a Scrum.org course is not required although the Scaled Professional Scrum course is highly recommended. If you feel t hat you already possess a high level knowledge of how to scale Scrum and the Nexus Framework, you have the option to take the SPS assessment directly. Scaled Professional Scrum certification is the only publicly available assessment of your knowledge on scaling Scrum and agility. The assessment is exhaustive and rigorous. Many questions ask you to think about or interpret the meaning from the Scrum Guide, Nexus Guide and in some cases, apply your own experience. Study the Scaled Professional Scrum with Nexus Practices and additional resources. Search the list of existing Professional Scrum certification holders here or see a breakdown on how many people hold certifications. The cost of SPS is $250 USD. See more details below. If you pass the Scaled Professional Scrum assessment you will receive the industry-recognized "SPS" certification, along with a badge that you can use to identify your achievement. Your name will be posted publicly for colleagues, managers, and potential employers to see. Unlike other Scrum certifications that require only class attendance, Scrum.org certification requires a minimum score on an online assessment. Attending a course is neither required nor sufficient. This gives Scrum.org certification true value in the marketplace.